Give your custom message daily exposure! This stapled 13-month appointment calendar is a great advertiser! 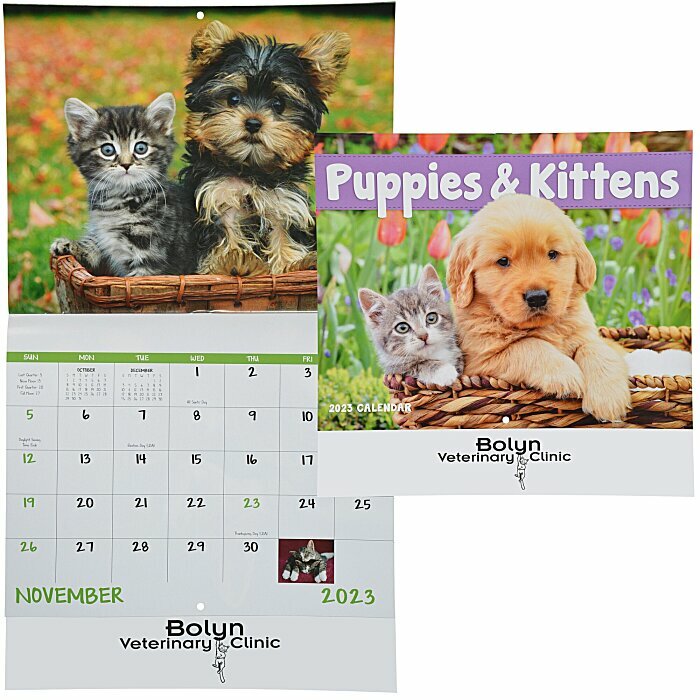 Each month features full-color adorable puppy and kitten images making it perfect for veterinary clinics, animal hospitals or animal enthusiasts everywhere. Constructed with 60# gloss paper for a shiny, professional finish. This calendar is perfect to hang anywhere with it's durable construction--keep it at home or in the office! Your price includes a one color imprint on the front of the calendar.